As well as drooling over gadgets, LEGO, and anything that can both fly and carry a camera, here at The Test Pit we love to try out new kinds of clothing... especially at this time of year. There is something about autumn that really appeals to us, as the cooler weather lends the opportunity to tool up with layers and accessories. While considering who to wrap ourselves up with this autumn, we came across something a bit fishy. 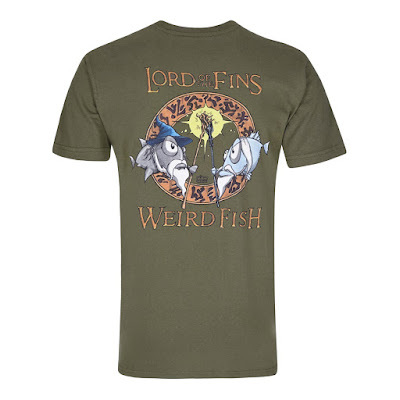 We check out clothing from Weird Fish. 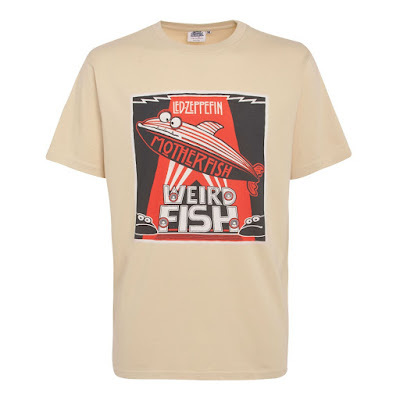 Weird Fish have been churning out clothes since 1993, after starting out in Cheltenham predominantly making t-shirts. Since then their product line has expanded, along with their retail outlets and online presence, making them a High Street name in many towns and cities. Weird Fish asked us if we'd like to try out some of their gear as part of our recent Family Camping feature, but we loved the look of the stuff so much we decided to give them their own showing. Because nobody wants to be upstaged by a tent. 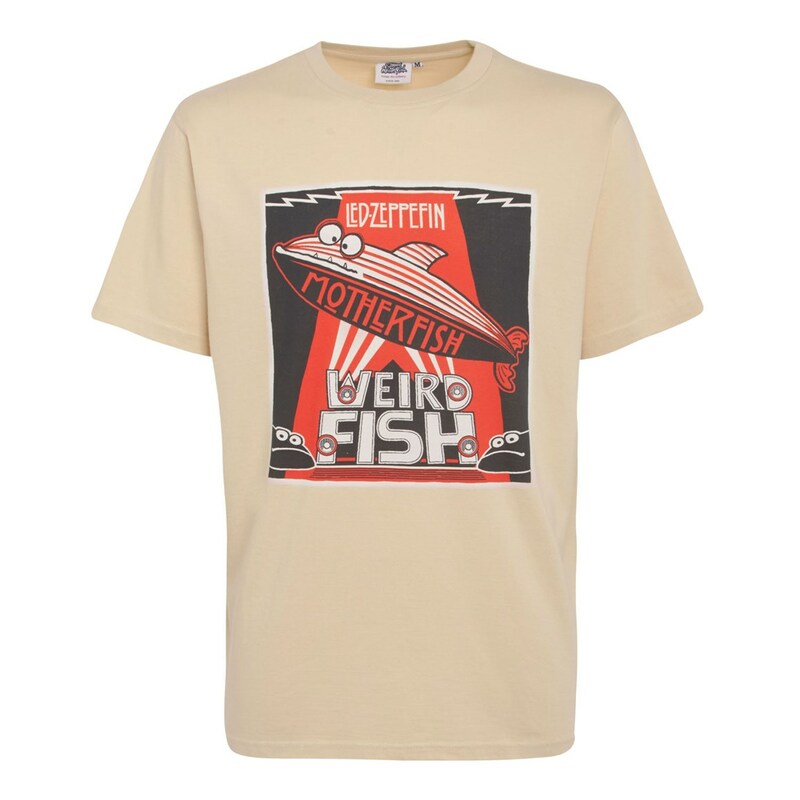 Weird Fish design comfortable, casual clothing with a urban and university feel, for both men, women and children. As the northern hemisphere has predictably started to plunge once more into autumn and winter, the current catalogue of clothing is heavy on chunky outer layers, jackets, hats, scarves and Weird Fish's signature Macaroni sweatshirts. To get a taste of the range we were sent a small selection of items to try. This pleased us, especially because it seems like summer ended three damn months ago and we're in dire need of insulation. Let's take a look, shall we? 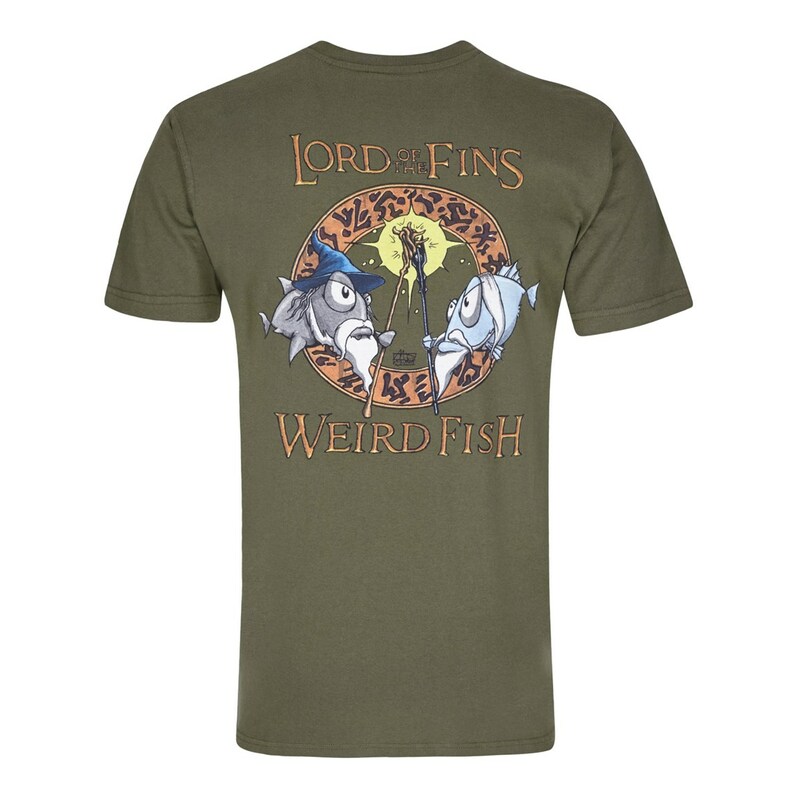 Originally Weird Fish were just t-shirt makers, creating fishy-themed artist prints and putting them on high quality cotton shirts. That practice still continues today, with several new designs released each year – all with an aquatic pun or two. The t-shirt itself is 100% cotton, comes pre-washed, and stress-tested. Weird Fish are keen to point out that their kit is made to last, and certainly the shirt we were sent (complete with Led Zeppelin joke) seems extremely well made and hard wearing. Each unique design (which, when released, sell out quite quickly – sign up to their email newsletter to know what is coming first) comes on a variety of different coloured t-shirts, resulting in a huge choice. It's soft, comfortable, cosy, and it doesn't seem like three more washes will melt off the print. This is a good t-shirt, and slap our arses... they're only £20 each! 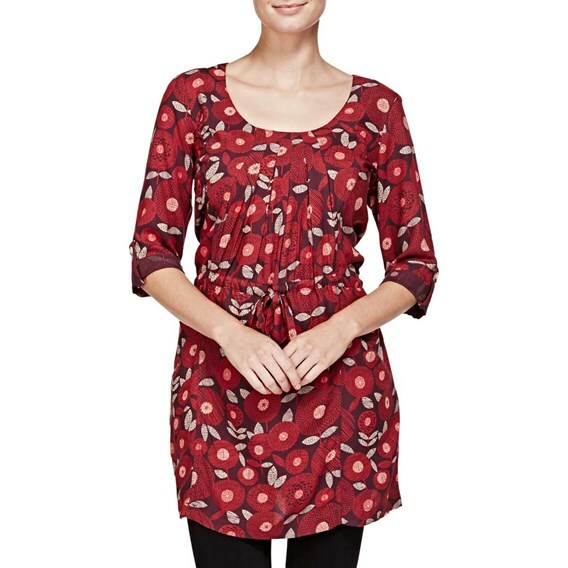 We also received items from the female line-up, a Hilda and a Flavia printed tunic. The tunic dresses come in a mixture of materials, and despite being light, airy and comfortable, are fitted around the waist and snug in the arms. Both have been printed in a similar way to the artist t-shirts, meaning the pattern feels soft and flexible all over, with no parts of the dresses feeling like they might wear or rub off. The Hilda has a slightly different cut than the Flavia, featuring a wider neck, a drawstring waist, and also pockets on the front. It's 100% viscose. Meanwhile the Flavia, coming in a sumptuous blend of cotton and model, has a narrower, cross-over neckline, and hangs a little lower. Both are perfect for combining with leggings or trousers. 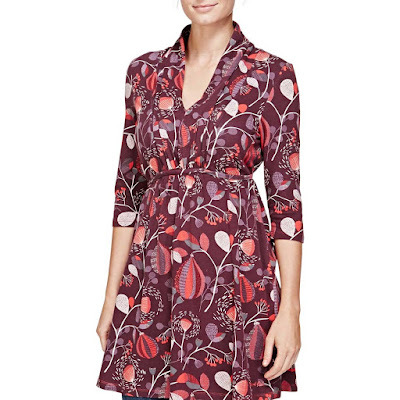 Thanks to the soft fabrics and careful print technique, the printed tunic dresses feel just as comfortable and long-lasting as the t-shirts. They weigh in at £35-50. For us, this garment was surely the main event. Weird Fish's Macaroni sweatshirts feature a unique woven fabric which, since 1994, has been the clear indicator of a Weird Fish top. The fabric was discovered in Turkey not long after the company was established, and the resulting heavy sweater was called a Macaroni because the material looked a bit like that variety pasta. These days Weird Fish now offer the top in a range of styles with subtle variations, but we were very pleased to get our hands on a 'classic'. A cotton/poly blend, the Macaroni features a ¼ zip on the front, pull-chords around the collar, soft cotton lining around the cuffs, and the raised and embroidered Weird Fish logo on the chest. The sweater has a reassuringly weighted feel to it, and because we chose the frosted grey colour, ours looks a little like chain-mail armour! Certainly we feel protected from the growing autumn chills, as the Macaroni is enveloping, cosy, yet also breathable. Weird Fish claim that any Macaroni will wear very well and never crease... and boy did we test that theory. In the end we did take a few of the Weird Fish items camping with us, and after discovering that despite sleeping in decent sleeping bags it can get bloody cold at night in Yorkshire, our illustrious Editor decided to don the Macaroni while sleeping through the second night. Needless to say he was toasty right the way until morning, but after emerging from his stinking pit of a tent, we could all bear witness to the validity of those crease-free claims. The cotton lining around the cuffs is also a very nice touch, keeping the tougher outer fabric away from your delicate paws. 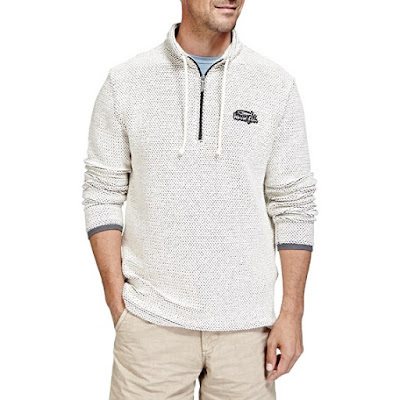 The classic cut doesn't feature any pockets however, but the other styles in the range, such as the deluxe, can boast hand pockets and zip-closing phone and wallet pockets to boot. We absolutely adore the Macaroni, and feel it will become a staple garment for the coming months. 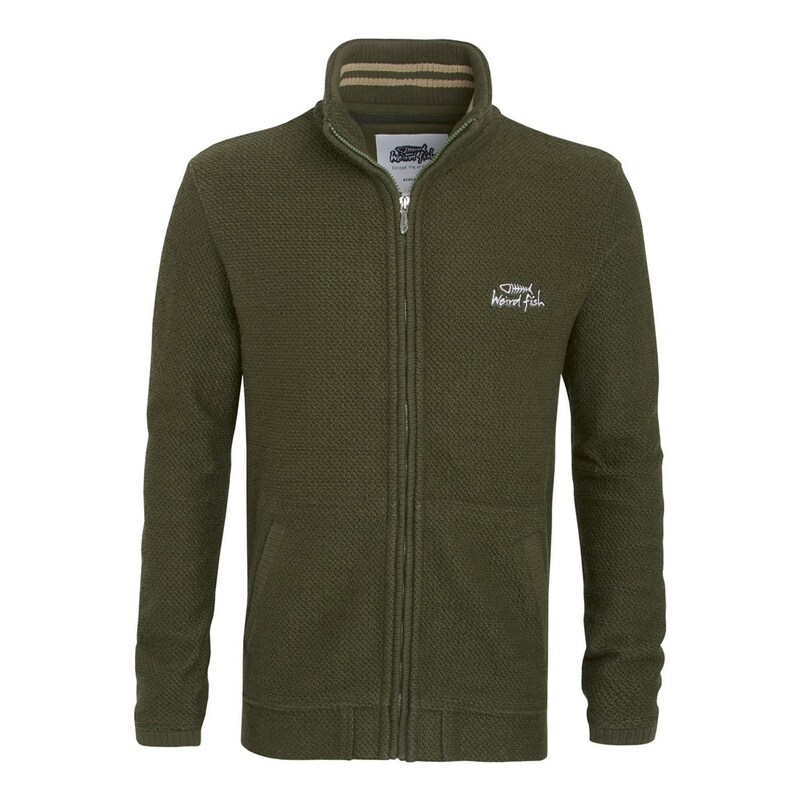 Slip it on over a t-shirt on warmer days, while layering up with a gilet on top for chilly times. Also, the classic Macaroni will set you back no more than £50, with the others in the range being a tad more. This is just a brief glance through of the Weird Fish look-book, and as the weather creeps increasingly more towards Jack Frost's territory, we're excited to check out even more. You should do the same.